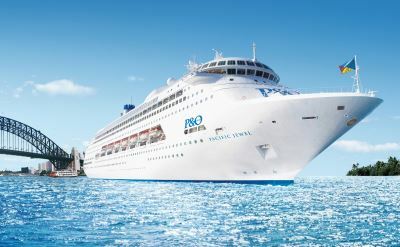 P&O Cruises offers real Australia cruises out of Brisbane, Sydney, Adelaide and Fremantle. Explore the Barrier Reef, Tasmania and more. P&O has been cruising from Australia for 85 years, and today is Australia's leading cruise line. 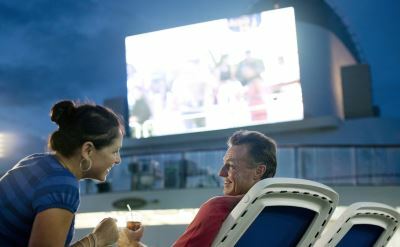 A highlight of their Pacific Dawn cruise ship is The Dome entertainment area with shows and dancing at night. 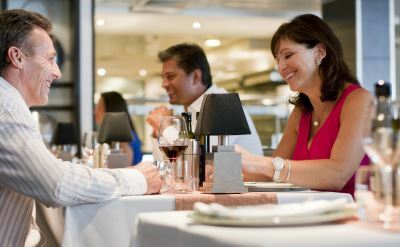 Dining options include the Waterfront Restaurant, Plantation Restaurant buffet, The Grill, Luna Asian restaurant, and the Salt grill. Other amenities are 4 kids clubs, 9 nightclubs, 2 outdoor pools, spa, and The Oasis adults-only retreat. They feature Australian musicians onboard and source the majority of their produce locally. 7-night cruises to the Great Barrier Reef. Round-trip from Brisbane (Australia) to Airlie Beach (Australia), Cairns (Australia) and Willis Island (Australia). • 2019 departures: January 11, January 18, April 4, April 19, May 9, May 17, June 6, June 14, June 27, July 12, August 1, August 29, September 6, October 4, October 24, November 15, November 29. 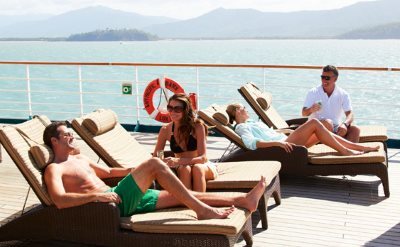 7-night cruises to the Great Barrier Reef. Round-trip from Brisbane (Australia) to Hamilton Island (Australia), Cairns (Australia) and Willis Island (Australia). • 2019 departures: February 8, March 14. 5-night cruises to Tasmania. Round-trip from Melbourne (Australia) to Burnie (Tasmania), Port Arthur (Tasmania), Hobart (Tasmania) and Adelaide (Australia). • 2019 departures: February 23, March 19. 7-night cruises to Tasmania. Round-trip from Melbourne (Australia) to Hobart (Tasmania), Port Arthur (Tasmania) and Burnie (Tasmania). • 2019 departures: February 24.